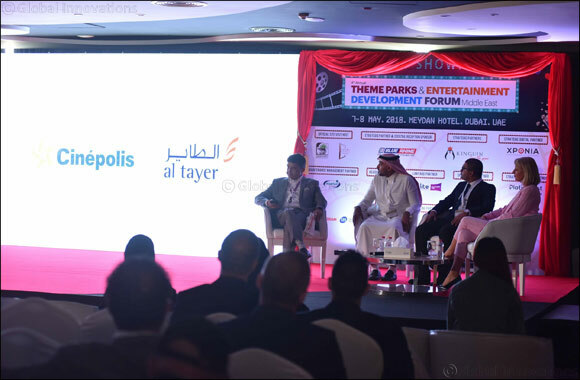 April 14th, 2019; Dubai, UAE: Eminent speakers across the Middle East's entertainment and retail industry will converge at the 5th edition of Theme Parks & Entertainment Development Forum to highlight the UAE's tremendous growth in the sectors and discuss the way forward. The two-day event will kick off on 16th April and continue till 17th April at The Meydan Hotel, Dubai, and will focus on the upcoming projects in the multi-billion dollar theme parks and entertainment industry. The Theme Parks & Entertainment Development Forum will be attended by leading theme park developers and industry buyers from UAE, Saudi Arabia and rest of GCC. Impressive line-up will include speakers from organizations such as Walt Disney Parks and Resorts, Farah Experiences, Miral, Saudi Arabia's Ministry of Commerce & Investment, Al Othaim Leisure, Dubai Parks and Resorts, Global Village, Expo 2020, IMG Worlds of Adventure, La Perle, Dragone, Bounce Middle East, Legoland, DXB Entertainments, Power League Gaming and many more. Chris Ward, President, DepthQ by Lightspeed Design, Inc. - “DepthQ by Lightspeed Design, Inc. is very pleased to again participate in the Theme Parks & Entertainment Development Forum, our past participation strengthened our brand and created great opportunities for us. We look forward to presenting our innovative virtual reality work at this year's show”.